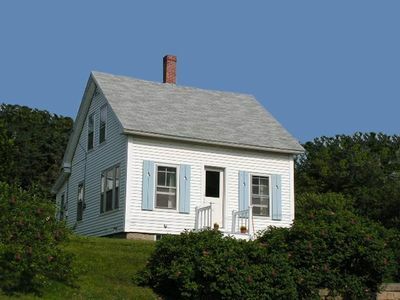 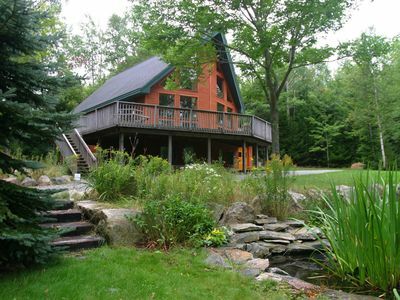 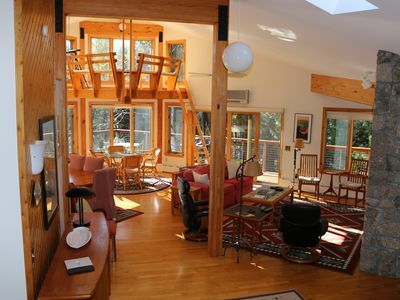 The Boathouse is an elevated one room cabin with a private deck overlooking Somes Sound. 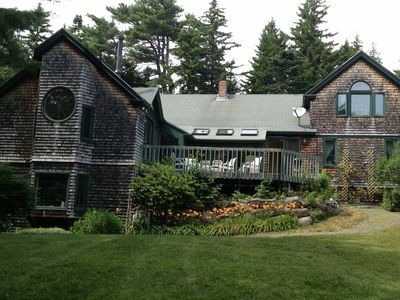 The property is secluded and quiet and the private beach is steps away. 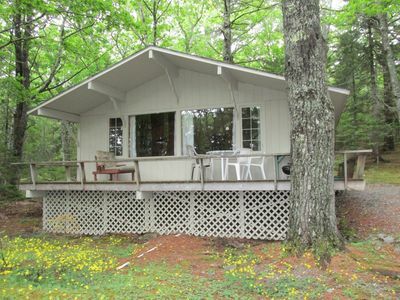 The cabin has a full bath, fridge, microwave, and grill. 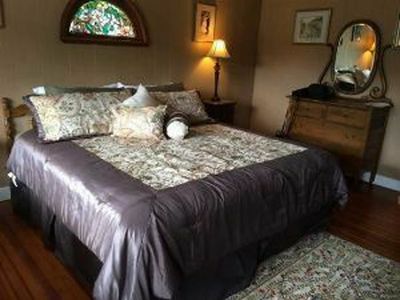 The bed is a trundle that has two twin beds. 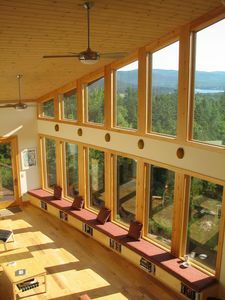 The bottom twin can be raised to be on the same level as the upper twin. 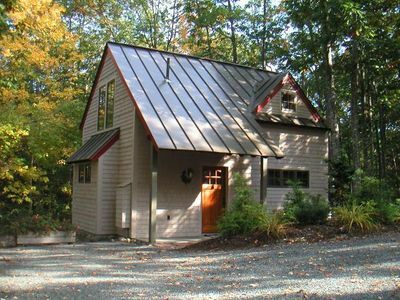 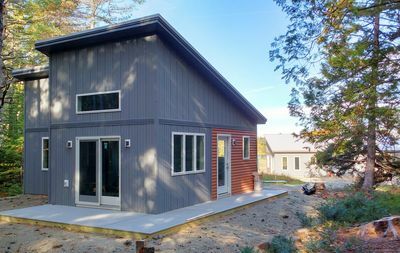 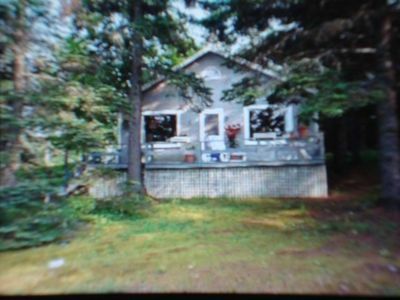 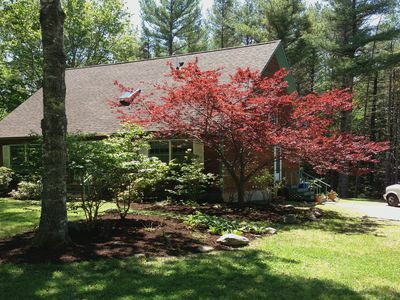 This cabin is part of a larger property (3 total buildings) and can be rented separately or in conjunction with the other properties. 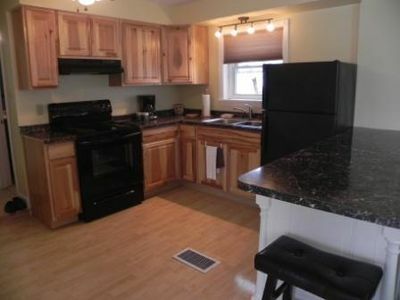 See VRBO 1010585 for more information. 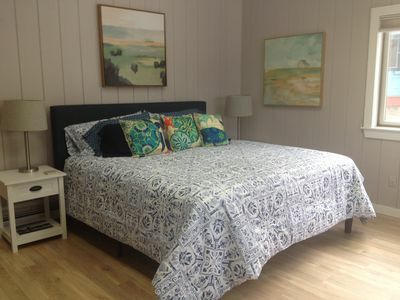 PLEASE be aware that there may be rental times when all three of the properties are rented to different guests. 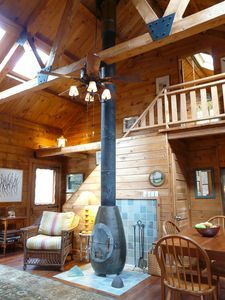 The cabin is the perfect spot to read and relax. 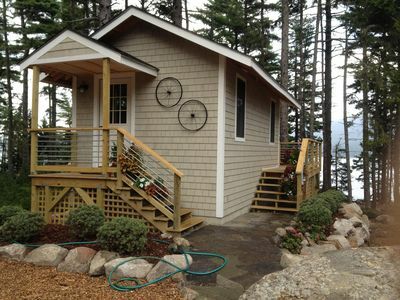 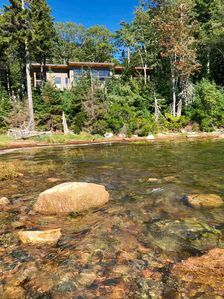 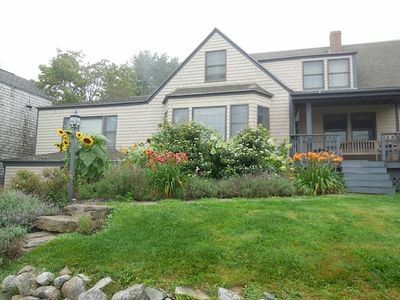 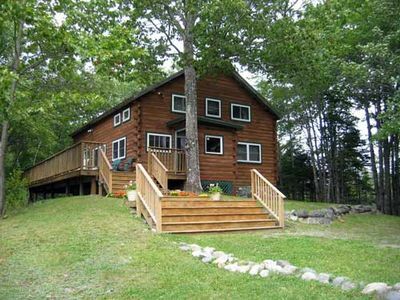 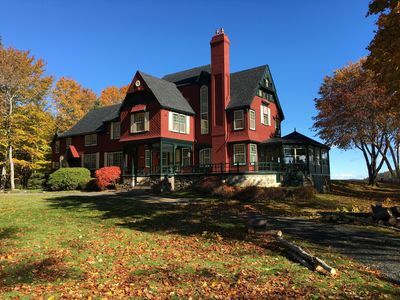 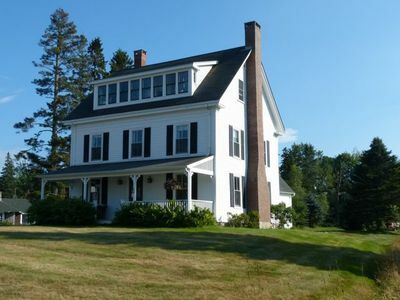 Brum Chalet, beautiful cedar home abutting Acadia Natl Park. 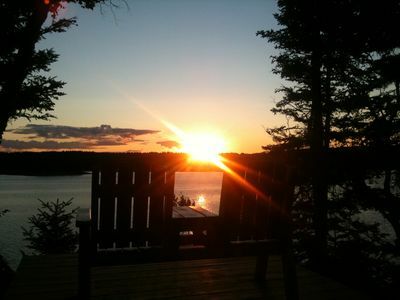 Sunrise Water View - Within Walking Distance to Town!